Wouldn’t it be nice to sit in your car, select a destination, push a few buttons and then sit back, and finish that book you’ve been meaning to? Well soon enough, you’ll be able to. Self-driving vehicles have become a modern day fascination. First Google sprung the idea and then Tesla caught on and built its very own semi-autonomous vehicle. GM and Mercedes-Benz weren’t far behind. Every major car manufacturer is in it to win it. And the technology they’re using to enable their autonomous vehicles is different from manufacturer to manufacturer. While some are using image-specific sensor technologies, others are turning elsewhere. We’ll provide an overview of the technology that’s found in self driving vehicles and the key manufacturers behind it. Hands free driving: your commute could soon become pretty relaxed. Image courtesy of The Telegraph. Light Detection and Ranging (LIDAR) is a form of imaging which consists of a laser, a scanner, and a specialized GPS receiver. It uses lasers beamed to measure the distance from point A to point B which is calculated by measuring the time of the signal return. The intensity of the return signal and how well the target surface reflects or absorbs the laser wavelength can help determine physical and chemical composition. When a laser is beamed and moved, it pings every surface or substance it comes into contact with. LIDAR works similarly, but with a technical twist. LIDAR is used for surveying and mapping of urban areas, which can be attached to aircraft or vehicles for accuracy. With every ping, LIDAR is able to pinpoint the location of the object and later on render a 3D model of buildings, roads, wires, trees, landforms, glaciers, water and others to the scale of millimeters. LIDAR has taken cartography to the next level, changing the way we plan agriculture, archeology, forestry and atmospheric research. LIDAR is also a prominent technology used in self-driving vehicles. LIDAR is used to map national highways and the information is then stored in self-driving vehicles to help guide the vehicles to ensure safe and accurate driving. One of the world’s biggest vehicle brands, Cadillac, decided against arranging fleets of camera-mounted vehicles to capture national highways, instead they took a futuristic approach and equipped vehicles with high-powered LIDAR sensors to create a detailed map of the United States highway system. In addition to LIDAR, Cadillac has also implemented infrared cameras in their Super Cruise models which monitor the driver’s attention. 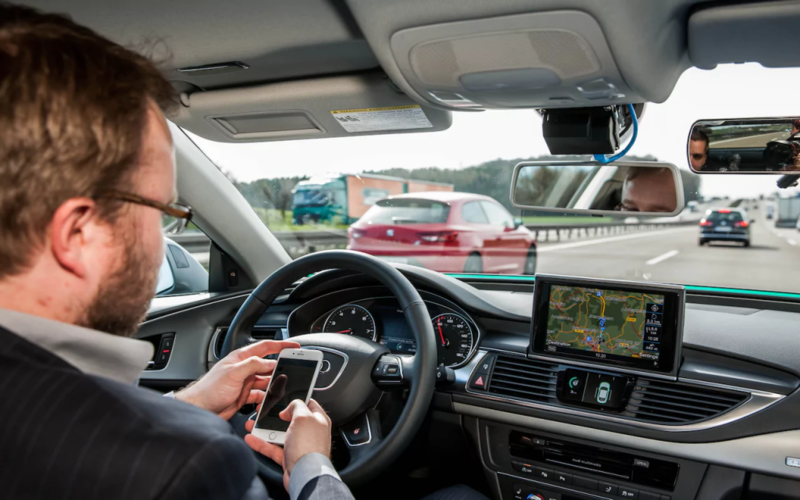 The driver is able to take his or her hands off the steering wheel and the pedal, but if the infrared camera detects the eyes have been away from the front windshield for longer than 30-seconds, the car will begin a sequence of alerts to get the driver focused back on the road. The sequence includes an illumination of the steering wheel, which will flash red if the driver is not paying attention. When Uber acquired Otto in 2016, they both had a common idea in mind. To have self-driving fleets of trucks on the roads. Otto uses three LIDAR laser detection units to dot the cab and trailer, a radar bolted to the bumper and a camera sitting above the windshield to convert from manual to fully autonomous. Uber and Otto combined their forces and made it happen. In October of 2016, the world’s first self-driving truck made its first delivery of 50,000 beers. 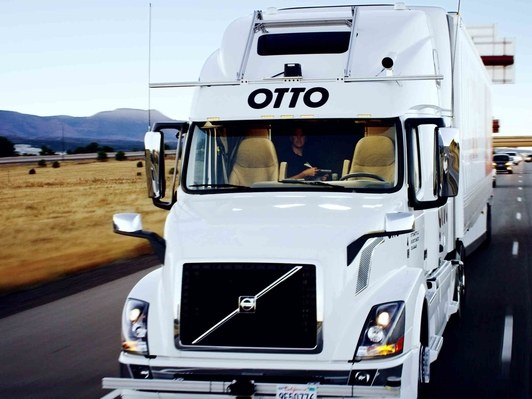 Otto self-driving truck that made the delivery of 50,000 beers. 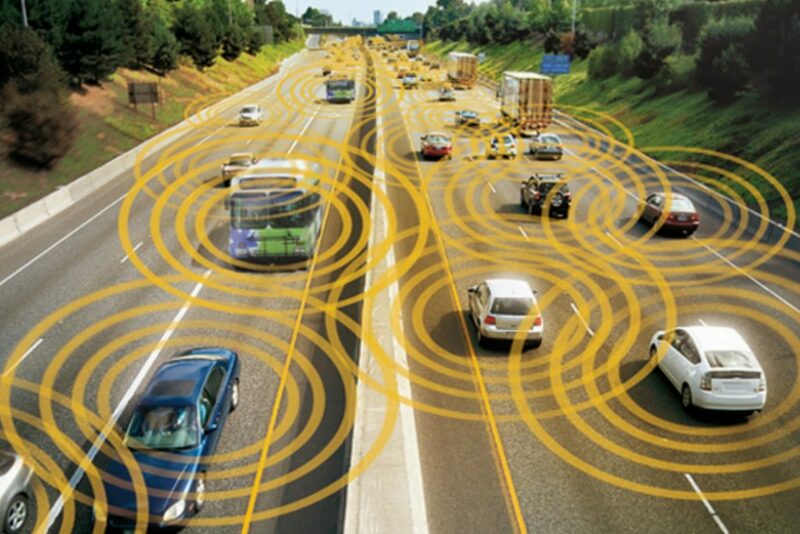 The technology the two companies have implemented, like Cadillac, only works on the highway where it does not have to deal with unpredictable factors like pedestrians or smaller vehicles, it maintains a safe distance from other vehicles and changes lanes when necessary. The Society of Automotive Engineers and the National Highway Traffic Safety Administration have nearly identical levels for automation in a car. Like no other system, Uber’s self-driving truck is a true level four on the autonomy scale. Once the truck is on a highway, it is truly a self-driving vehicle. 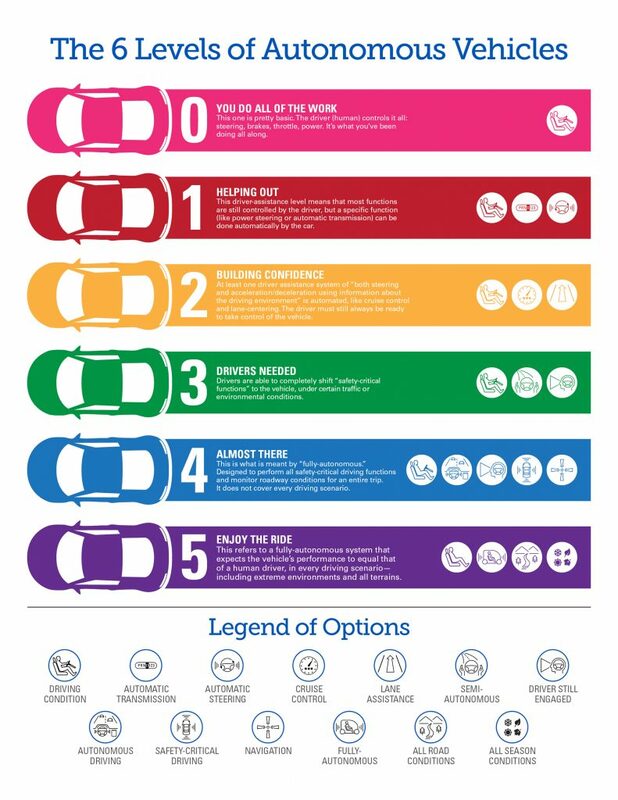 Autonomous vehicles are no longer a what-if scenario, they’ve arrived and they’re here to stay. But their transition into everyday use won’t come without challenges. Any device with as much complex tech as that which powers self-driving cars is bound to have hiccups. It’s the price you pay for being able to take your hands off the wheel and watch a movie on your commute to work.